Having grown up with images of Switzerland as a land of snow-covered mountains, when I visited the Valais, a wine-growing, French-speaking canton east of Geneva, I expected cold weather. But the climate was better suited to shorts and T-shirts than to parkas. Neatly trellised vineyards climb up steep hills taking advantage of a hot, dry microclimate. With 300 days of sun a year, the Valais feels like Napa and Sonoma except for the Matterhorn looming in the distance. 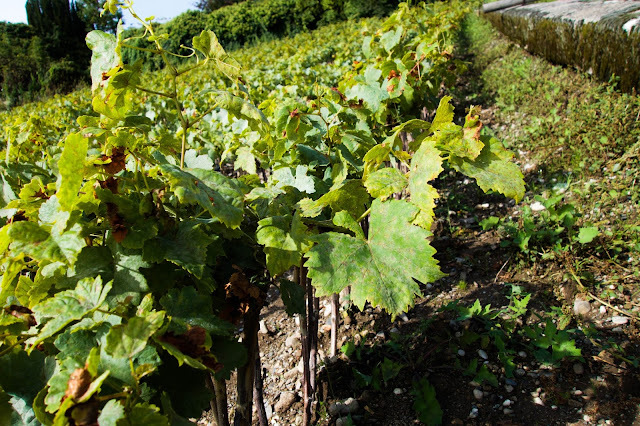 In Switzerland, family-owned vineyards and wineries (called vignerons-encaveurs) are the rule. Even if unprofitable, they stay in the family. 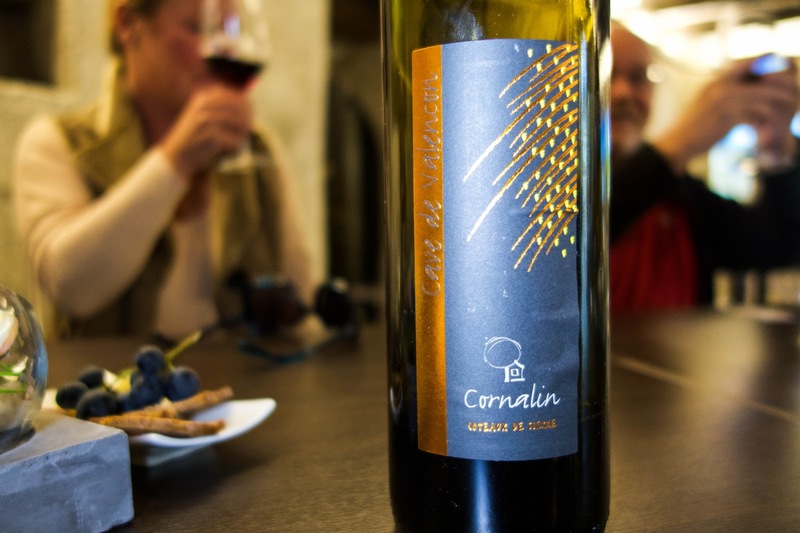 During a hosted trip we met one wine maker whose family was regarded as a newcomer. They had only worked the vineyard for three generations, while the neighboring farm had been owned by one family for seven generations. Neither winery was self-sustaining. Everyone had a day job. 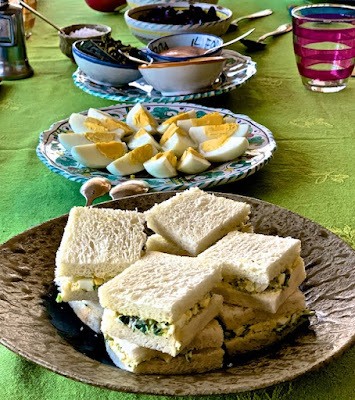 We tasted dozens of varietals from local vineyards, some with such a small output, customers who lived in the neighborhood consumed their entire production. The wine most closely associated with the Valais is Fendant a white wine made with the Chasselas grape. But it is a red wine not a white that is making news these days. Twenty-five years ago the Swiss government encouraged farmers to plant improved strains of grapes that were indigenous to Switzerland and to pursue new blends with distinctive qualities. 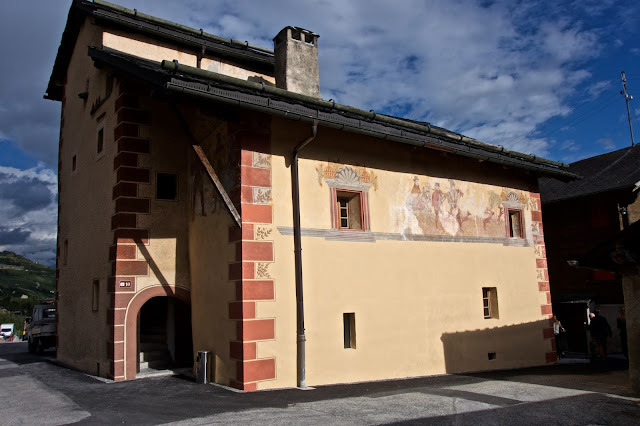 The goal was to expand the export market for Swiss wines. 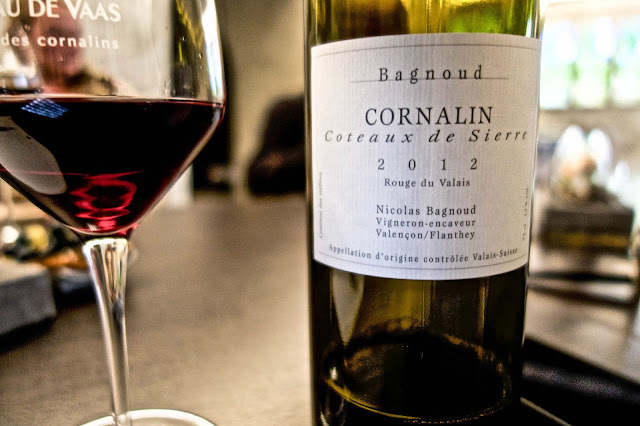 In the Valais, that led to the improvement of Cornalin, a grape that has been cultivated since the time of the Roman Empire. Used primarily in blends to make inexpensive table reds, the wine was often bottled without appellation or date of production. Frequently confused with an Italian grape with a similar name, the Swiss variety (Rouge du Pays or Cornalin du Valais) is genetically distinct. In the 1990s the Agroscope Changins-Wädenswi, a federal agricultural agency, funded research to cultivate promising local strains to improve the quality of the grapes and the survivability of the vines. A group of young vintners adopting the appellation Le Coteaux de Sierre planted the new vines. Over time, the acreage in the Valais devoted to Cornalin has expanded. The wines have a low-tannin, fruity flavor and a dark cherry red color. Helping market wines made with 100% Cornalin grapes, the wineries of the area have enlisted an unlikely champion. 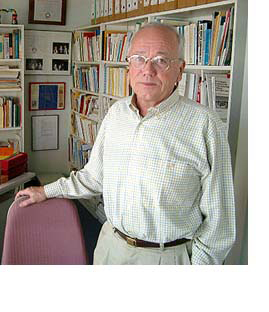 Antoine Bailly is an internationally respected academic and a Nobel Peace Prize winner (Geography, 2012). A native of Switzerland, Bailly travels the world as a lecturer. These days his passion project is Cornalin. When I toured the under-renovation Château de Vaas, La Maison des Cornalins in the village of Flanthey (Chemin du Tsaretton 46, 3978 Flanthey), Bailly pointed out details of the building, parts of which were built in the 13th and 16th centuries. Restored at great expense, the building is unique in the area for its history and architectural details. Opened to the public in late August 2014, a photographic tour of the museum is available on a French language web site. In the tasting room, products from the local wineries can be sampled, along with cheeses and charcuterie from local purveyors. To visualize where the grape is grown, Bailly created an interactive map with the locations of the Cornalin vineyards in the Valais. Another interactive display with video screens illustrates the cultivation of the grape. In the tasting room, with Bailly leading an animated discussion accompanied with appetizers of local cheeses and slices of beef sausage from Boucherie La Lienne in the village of Lens, we sampled several of the 100% Cornalin wines. Each of us had our favorite. Mine was the Bagnoud Cornalin, Coteaux de Sierra (2012) Rouge du Valais. Bailly described the grape as difficult to grow and unstable. Slight variations in heat or rainfall can ruin the harvest. Through trial and error, the local vintners have learned how to get the best out of the grape. So why bother with such a temperamental grape? The answer was pretty direct. The vintners like the wine they’re making with Cornalin. For them, the extra effort and increased risk are worth the result. Cornalin needs three years in the bottle to mature. With the vintages currently offered for sale, these wines will be at their best just about the time the museum opens. Bailly invited us all to come back then. In the meantime, we bought bottles of our favorites to bring home. We had become little agents of export for Swiss wines.